Overlong in a way that’s neither gripping or particularly entertaining, The Highwaymen exudes a clear and competent skill set in a story that’s equally enveloped by narrative dissonance. 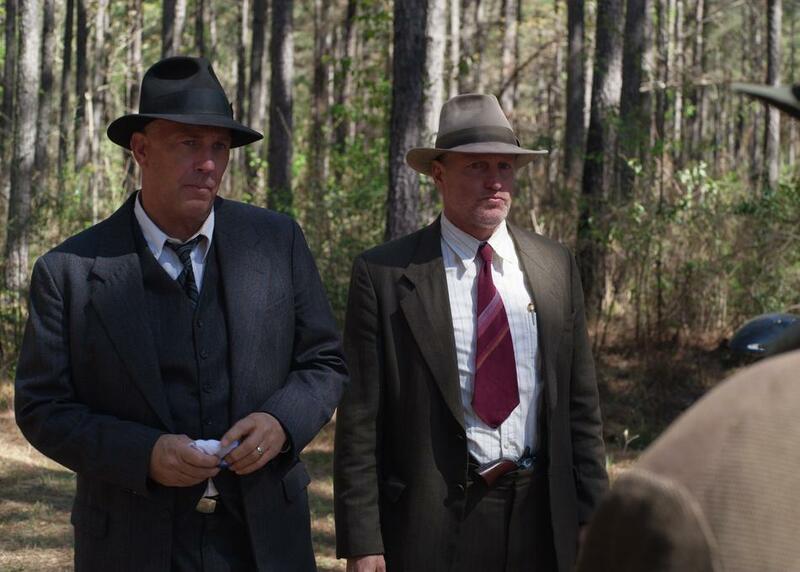 You wouldn’t think that a film about the men responsible for bringing down the infamous, romanticized Bonnie & Clyde duo could actually be boring, and yet Netflix’s latest disappointment elicits more yawns than it does action-packed thrills or thoughtful contemplations, resulting in a slow-burner that continues dragging its tale even after the flame has been blown out. It’s good enough to recommend as background noise but isn’t one worth vocally celebrating. In The Highwaymen, we get to watch old neutered dogs who growl and grumble about, who are practically incapable of learning tricks try to outsmart the nationally beloved and murderous bank robbing romantic pairing. 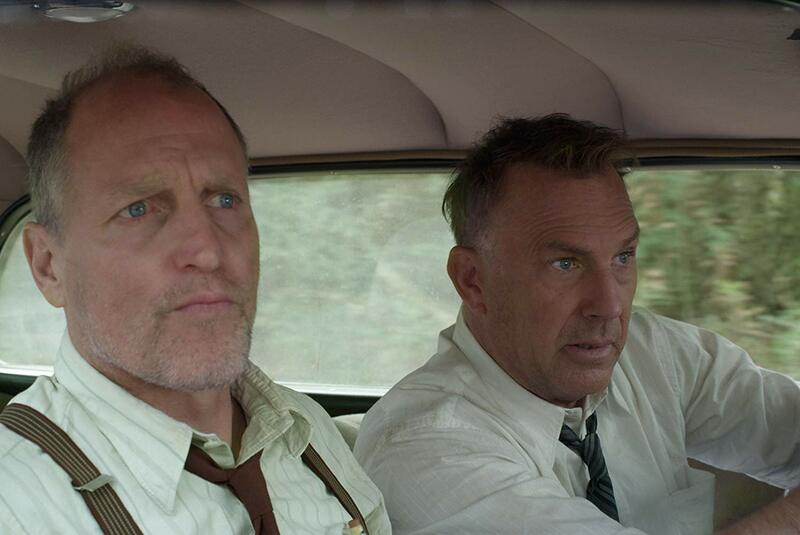 As a former Texas Ranger, Frank Hamer (Kevin Costner) is recruited from retirement to head the undercover endeavor, getting his old partner Maney Gault (Woody Harrelson) to join him for one last ride. This stale, stagnant dynamic makes up roughly 2/3 of the movie, leaving us with a film which drives with the emergency brake prematurely pulled, grinding along and wearing itself away to nothing while taking seemingly forever to do so. Poor pacing makes this one burn out faster than most of its kind. This candle smells good though, perfuming an ugly picture with the scent of teak and old oak, and the packaging maintains a rugged appeal to its otherwise unkempt nature. 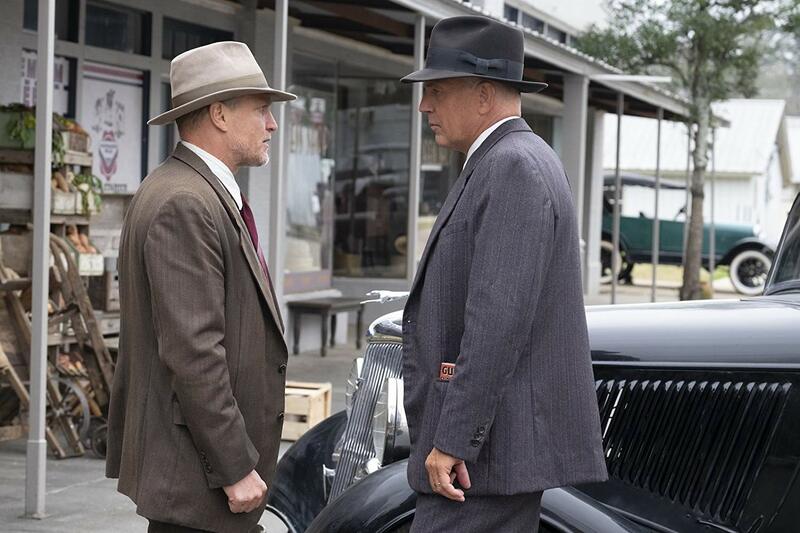 Where The Highwaymen most rapidly disintegrates is at a character level though, writing dueling personas for these two remarkable and seasoned lead actors who are unfairly asked to contextualize from too great a distance without first granting them the unique agency or access to investigate their personal, emotional arcs. Harrelson and Costner make a whole lot out of nothing, even if it is mostly flavorful gristle that’s there for flavor instead of substance. They can only bluff for so long before we call their false taste. Swinging for the fence whilst mostly missing on exploring the moral ambiguity and the wealthy history of violence between its polar opposite sides, The Highwaymen has mass appeal but dispenses too few cause and effect situations for a story this dense and illustriously historical. It’s light, casual, overbearing and a tad bit tedious. 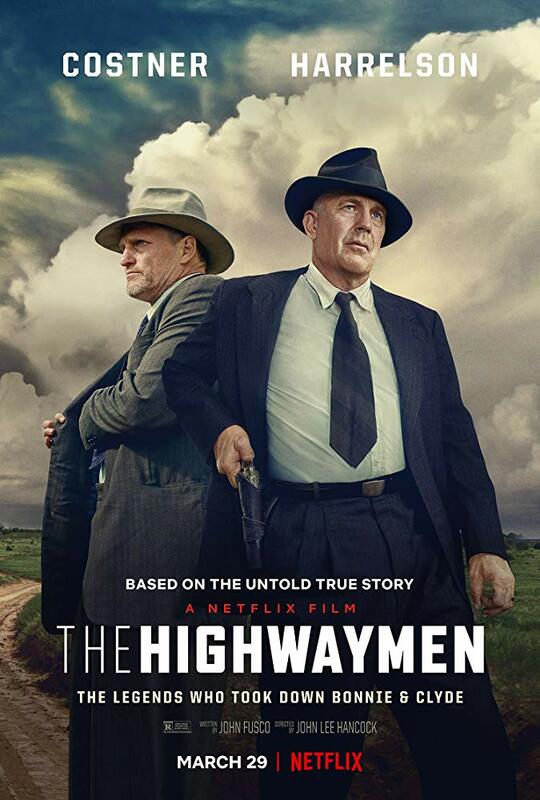 Something tells me that this film will play well with middle-aged men who enjoy watching “The History Channel” and “Discovery.” The Highwaymen has that look. Over-saturated, flaccid, in desperate need of a tighter edit. Great films render their fat down so that they might bathe in it and enrich the flavor. By comparison, The Highwaymen open its jaws and chews relentlessly. Intimidation keeps you from sending this film back to the kitchen, although I doubt you’ll ever order the plate again.